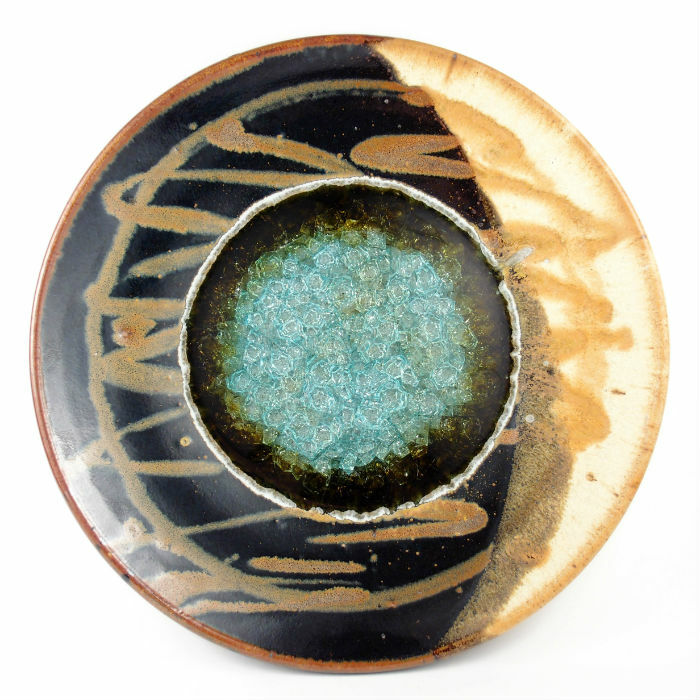 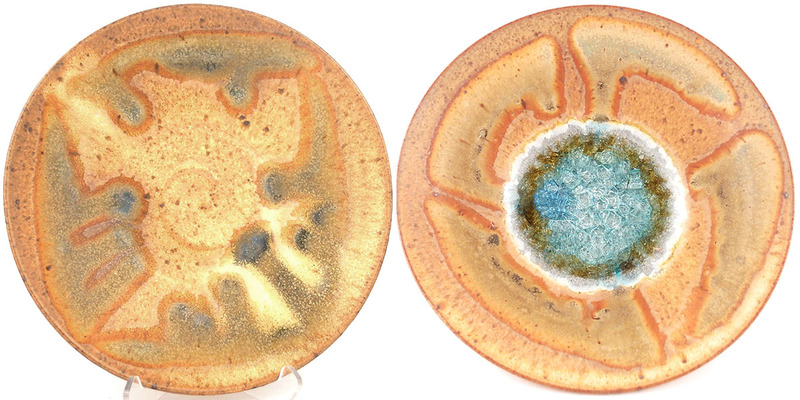 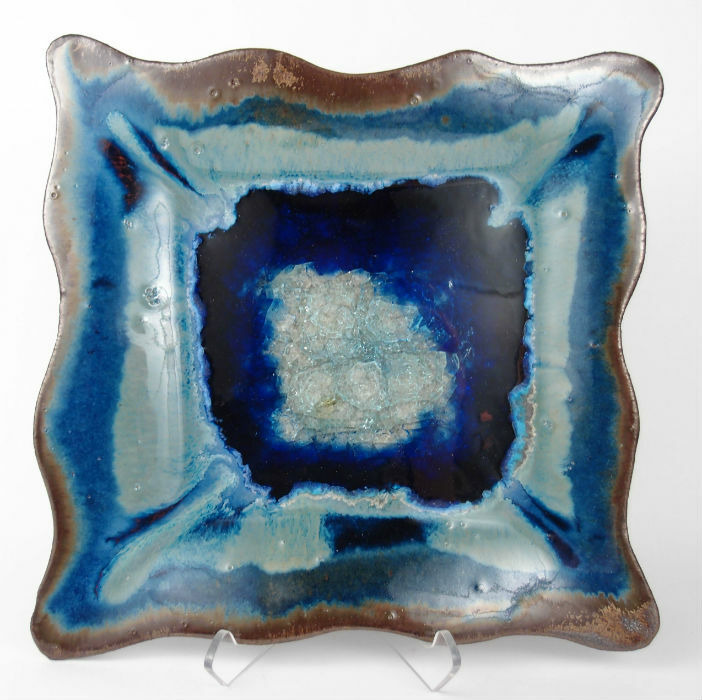 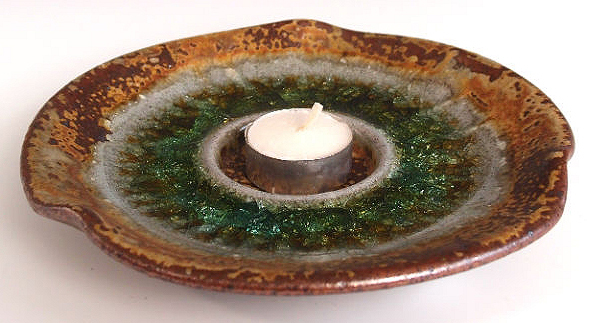 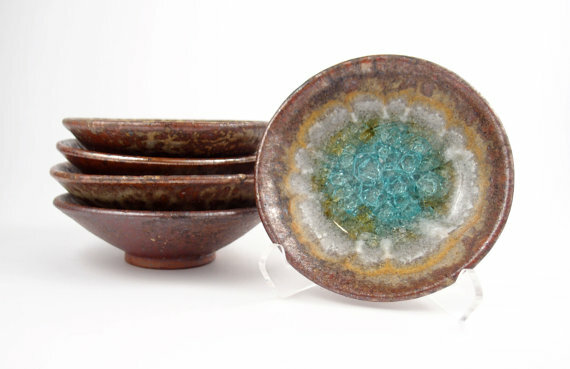 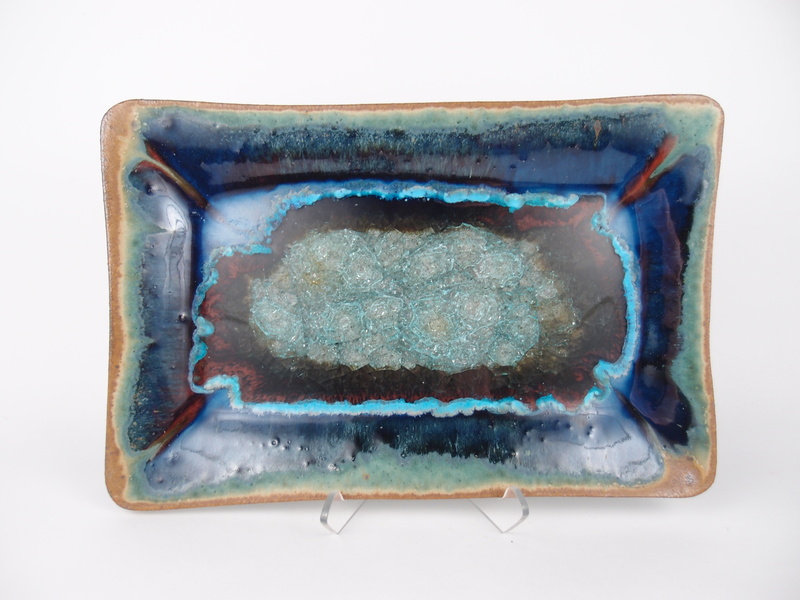 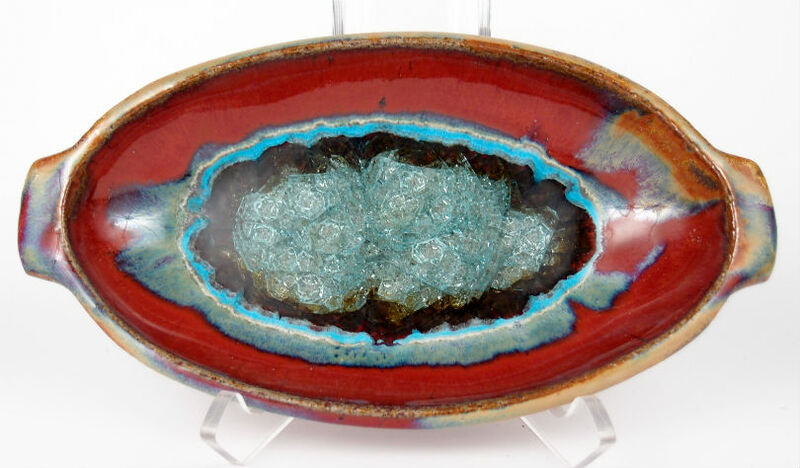 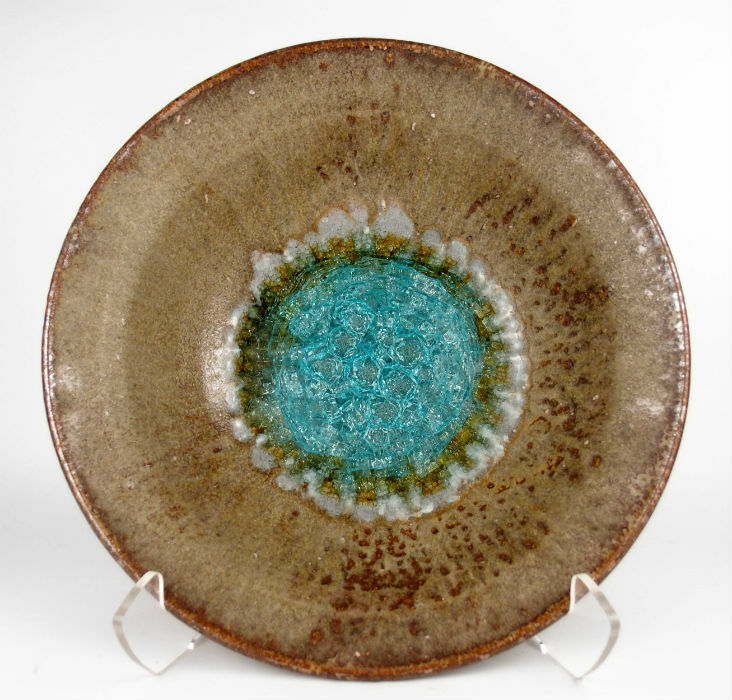 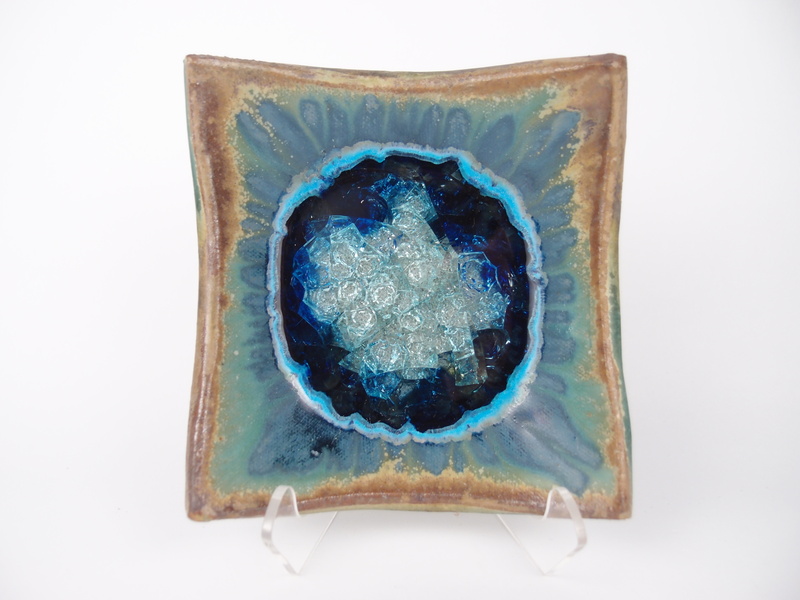 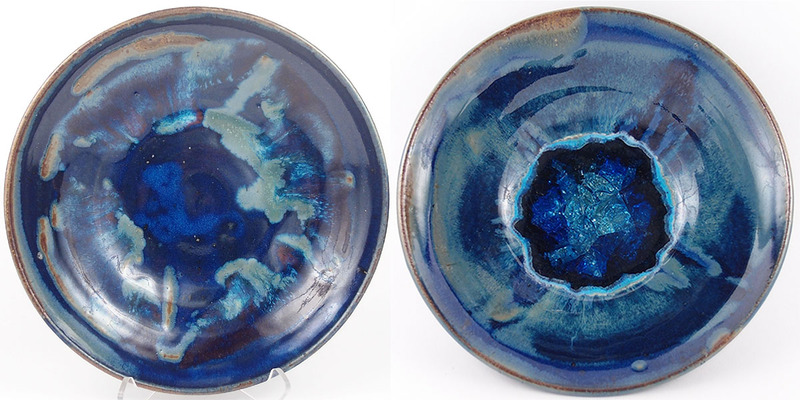 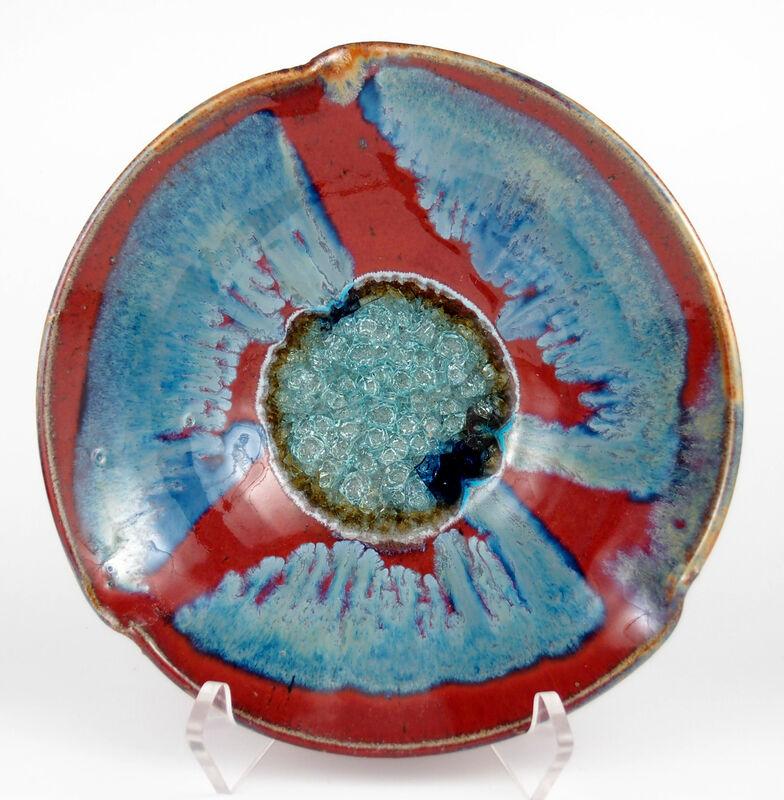 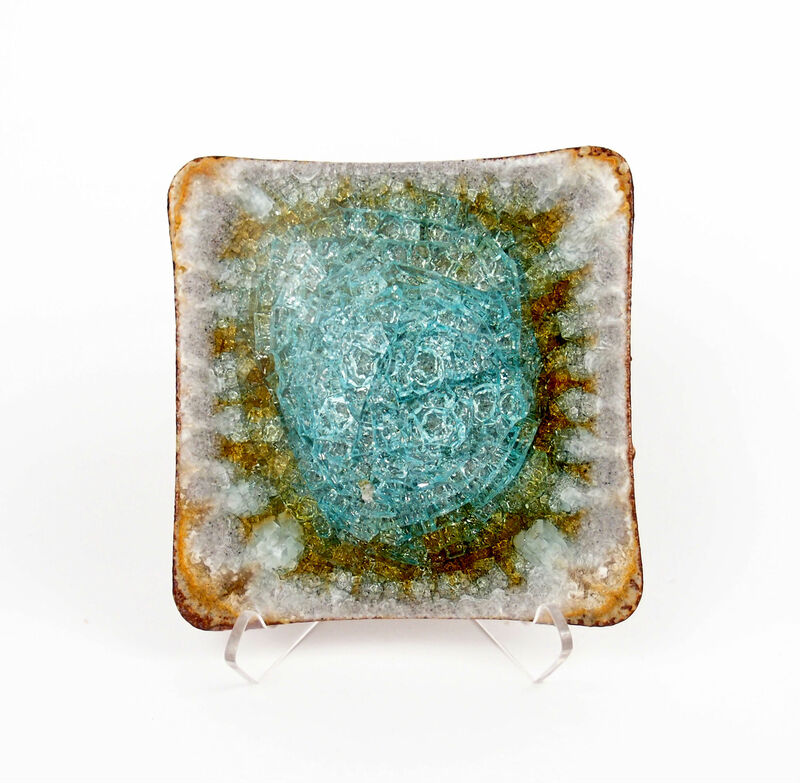 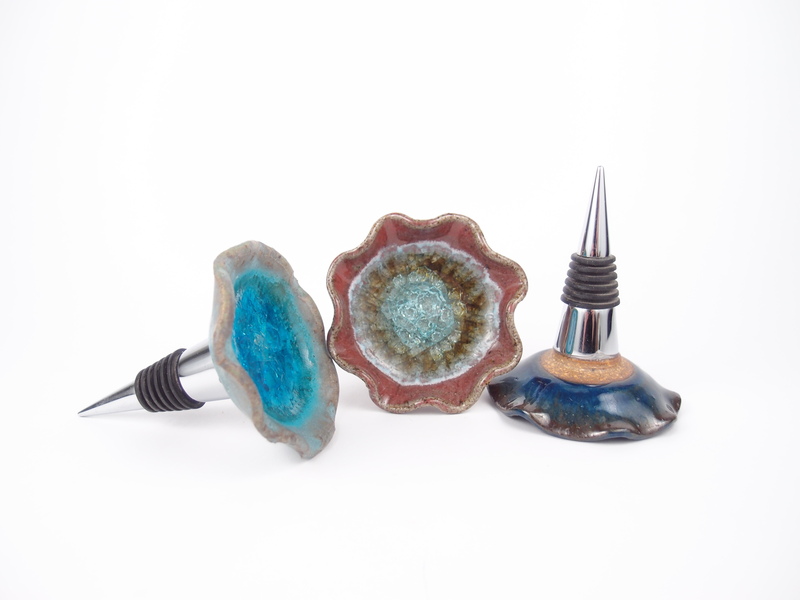 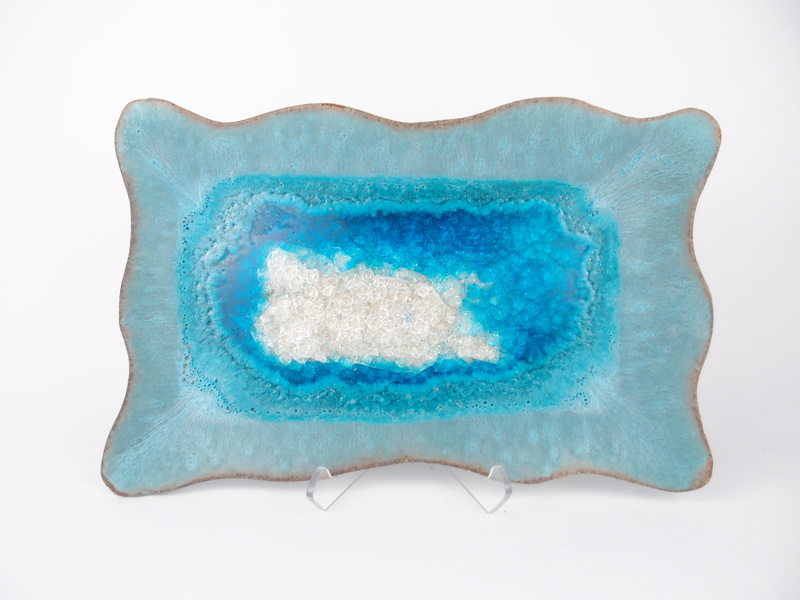 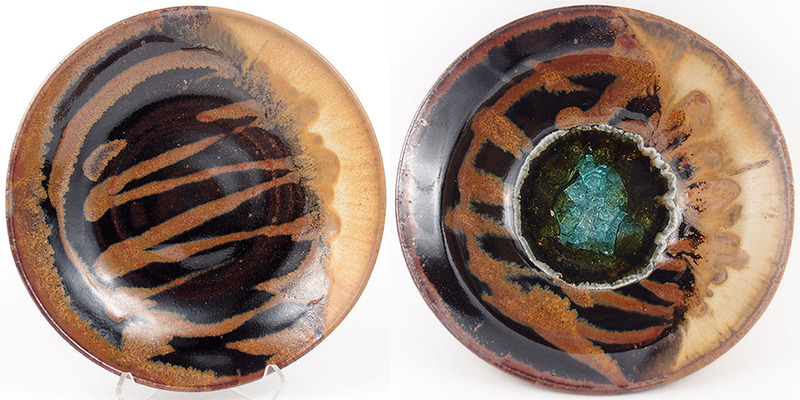 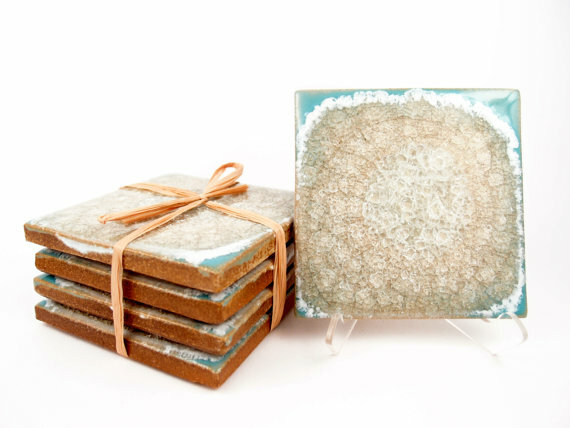 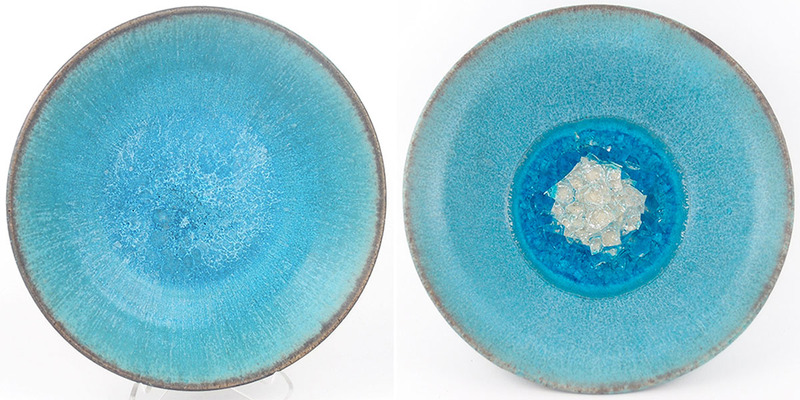 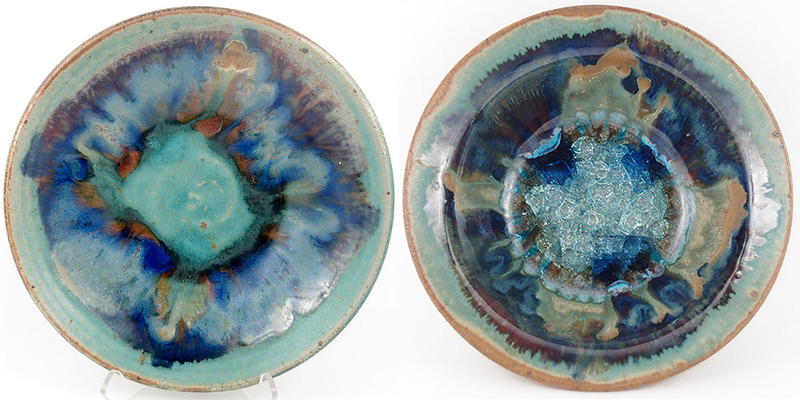 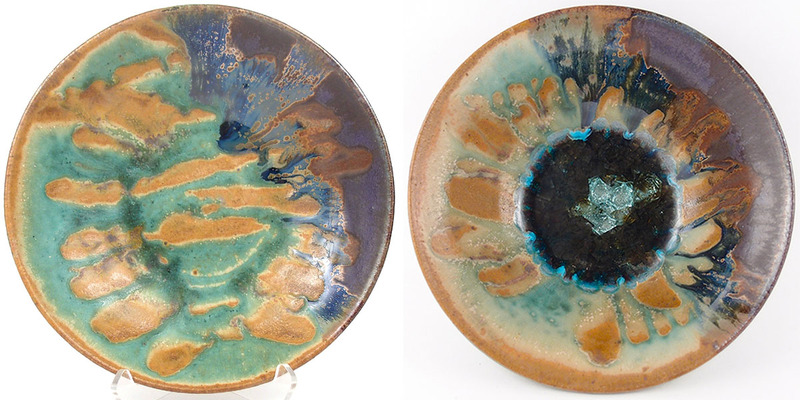 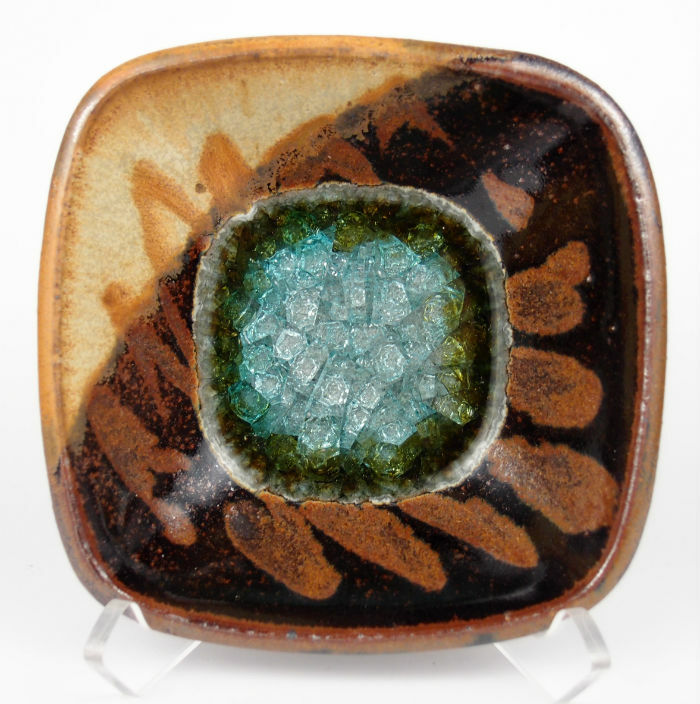 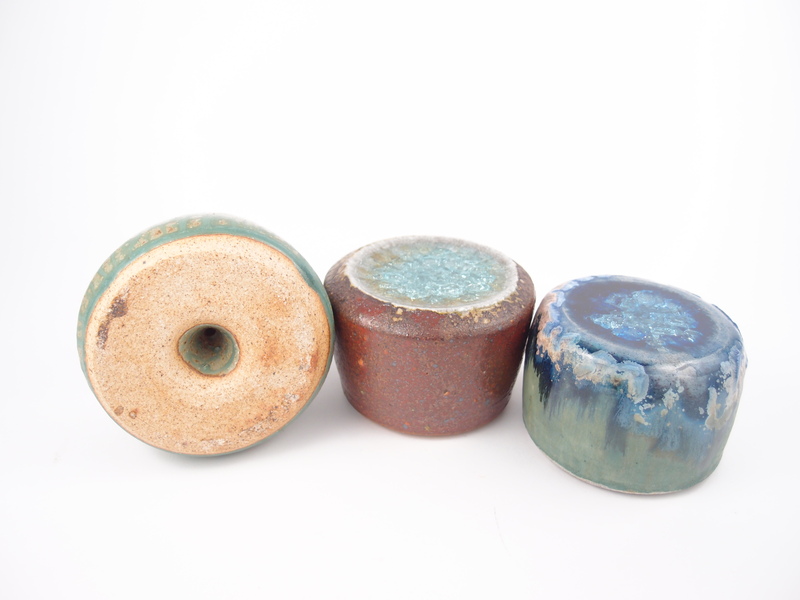 Pottery with fused glass is food safe in the way that it is not toxic in any way. 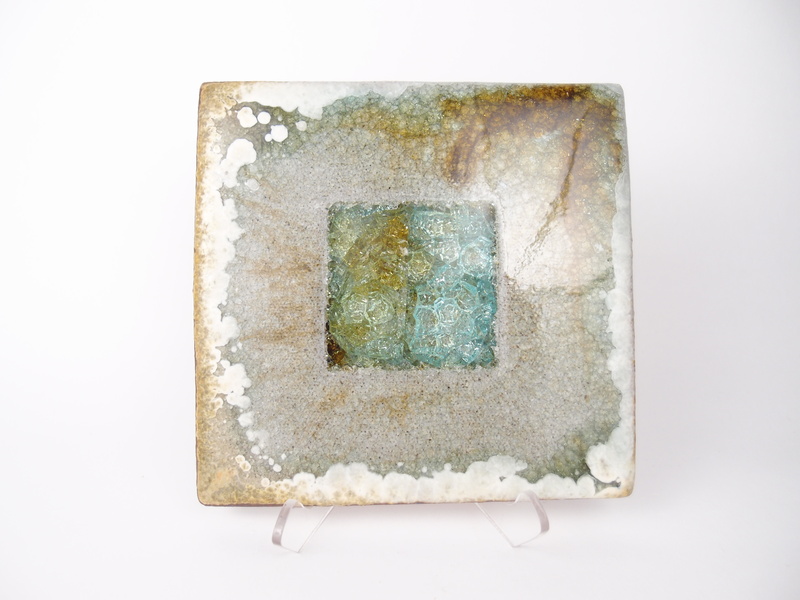 However, that neat little crackle pattern is really a bunch of cracks and food particles may find their way into the cracks, leaving a stain or allowing bacteria to grow. 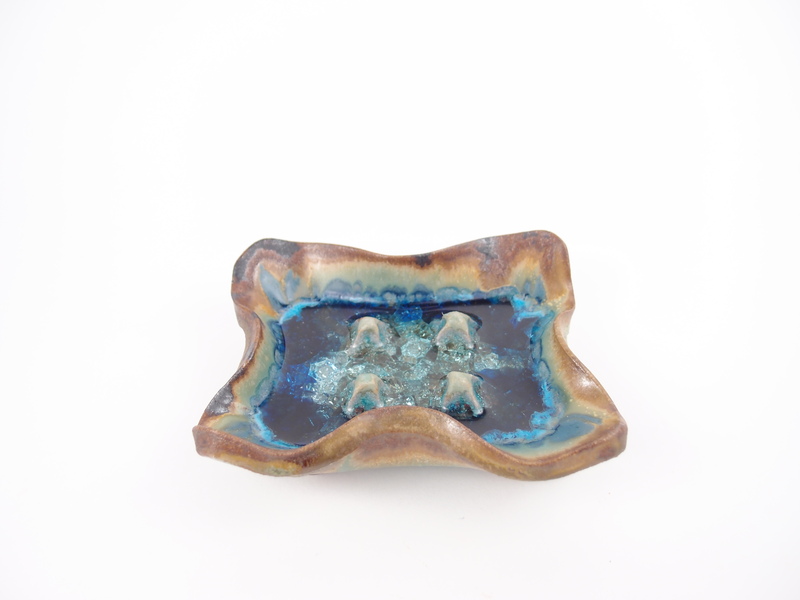 Therefore, we tell our customers that the “glass pots” are for dry foods only, such as bread, cheese, grapes, etc. 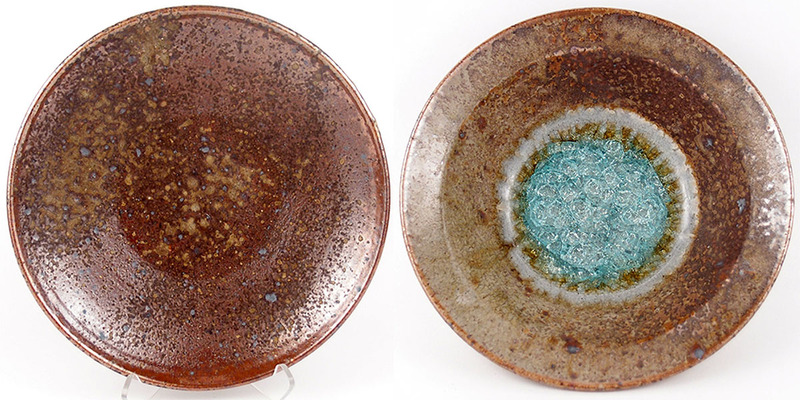 They should be hand washed after use & often are described as decorative only.